For most of us, one of the most expensive investments we have made in our life is our car besides the house we are staying in. Since we have invested so much to own a car, it is not surprising that we want to take good care of our car. We want the car to stay new as long as possible both in performance and in its look. And one way to protect and maintain its paint surface shine is to get one of the car covers to protect our car. For those of us who do not have an indoor garage, we have to park our car outdoor under the open sky. A lot of things can happen to our cars such as finding birds dropping, fallen twigs from the nearby trees, cat’s footprints, dust, etc. on our cars. It is especially so if we leave our car outdoor in the open even for a weekend. If we are planning a holiday and need to leave our cars parked in the open for a week, a month, or even longer, we should take some necessary precautions to keep our cars safe. Our cars can suffer damage to its paint surface, tires, and etc. if not properly protected. For long holidays, it is better to store our cars in a covered garage. It is one of the best ways to protect our cars from rain, dust particles, theft, pests, etc. but if it is not available, then we must at least get one of the outdoor car storage covers to shield and protect our cars from all these elements. The outdoor car covers need to be of a perfect fit to serve its purpose. 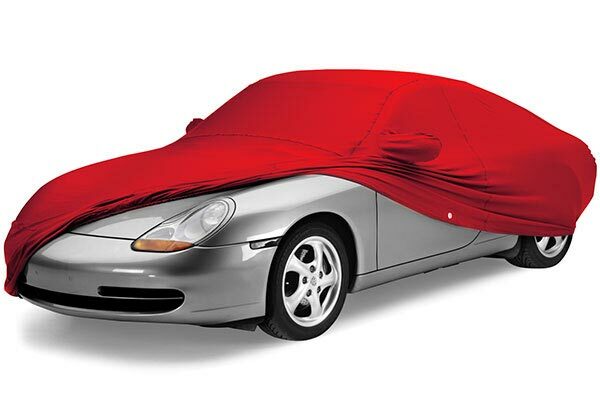 Getting a loose fitting car cover will not serve its purpose because dust, rain, etc. could easily get under the cover. In order to get a perfect fit for our car, we can have the car cover customized to fit our car. If our car is a Ford, there are custom car covers for Ford cars and the specific model. Custom car covers are made to fit perfectly over the specific car. Before putting on the car cover over our car, we must ensure that our car is thoroughly clean from dust to avoid scratches caused by the dust particles rubbing against the paint surface. Also, make sure that the car is thoroughly dry because the smallest amount of dust or moisture could do a long-term damage to our car’s paint job.